After many years of looking longingly through the glass panels of my mind, I decided to break through and finally make My First Cheesecake. 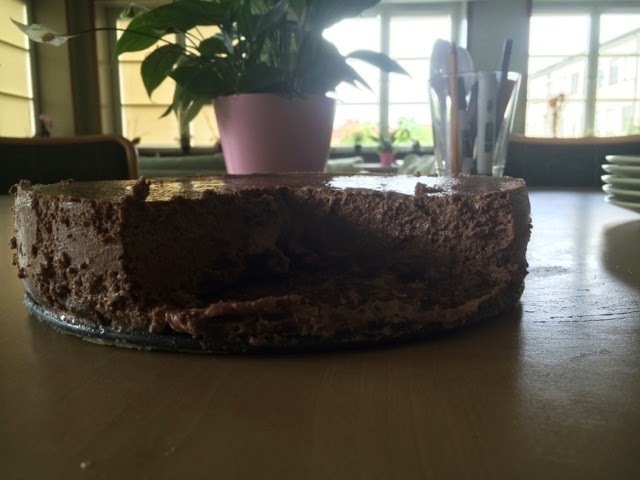 I opted to do a chocolate version as a colleague is an expert at the more traditional NY cheesecake, and I didn't want to disappoint myself. 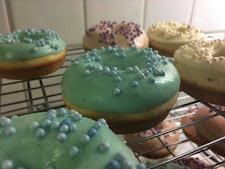 I was swaying between Nigella's suggestions, and those from The Hummingbird Bakery book. I settled on basing this bake on the latter as I had the right size tin, and do not yet own a 20cm springform (that Nige's recipes require). The mixture was fairly easy, both for the base and the cheesey mix. 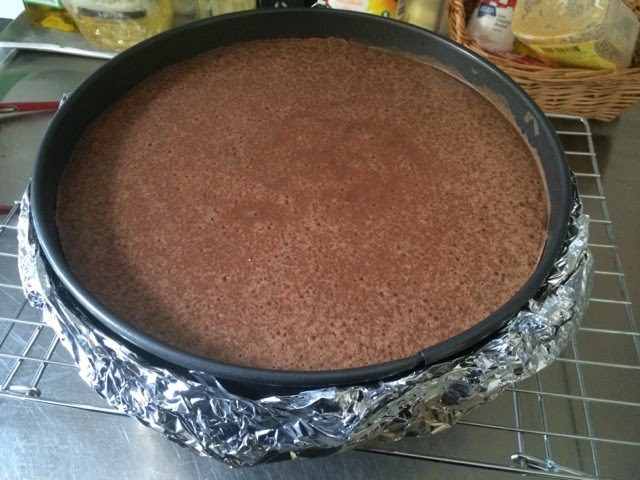 I was a bit concerned that when lowering the temperature of the melted chocolate with the cheese mixture, it turned a bit claggy, which reminded me of an awful encounter with corn flour when making custard. It righted itself in the end, and I even added a little flourish of a cup of milk & white chocolate chips in the batter. In retrospect, I think another half cup would have been better. The Bain Marie, oh the Bain Marie! None of my roasting tins were big enough to sit the springform in, especially with the double layer of extra thick foil around it, so I used one of those trays that fit across the oven. The water didn't go up to the recommended 2/3 of the tin, more like 1/2, but it didn't appear to hurt the cake (this is written pre-Cut). I baked it for 50 minutes, and despite the wobble I took it out. Mixing by hand perhaps? Hopefully after refrigerating, the cake is *still* good! So after the cut, I found the cake to be very soft... this was after around 12 hours in the fridge! It tasted amazing, though, so still very pleased with my first attempt!